Clint Eastwood’s film about the 1995 Rugby World Cup—and tangentially about the first years of Nelson Mandela’s presidency—provides absolutely no insight on either. 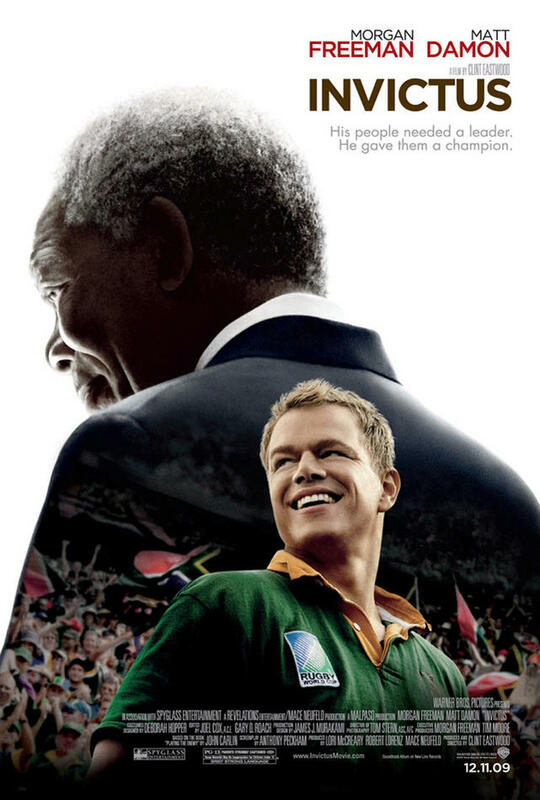 Morgan Freeman and Matt Damon star as Mandela and the Springbok captain, and while their accents aren’t atrocious it’s hard to see why Eastwood felt the need to cast such big name actors in the roles when South African actors would have at least lent the production a modicum of credibility, if nothing else. While Freeman gives a better-than-average performance—at least this isn’t a murder-mystery with Ashley Judd at his side—Damon is egregiously miscast, both physically and otherwise, and he’s just as tiresome here as he was in Steven Soderbergh’s The Informant! To a series of painfully one-dimensional characters the script brings an uneasy mix of social commentary, dumbed-down history lesson, and, gratuitously, anxiously broad humour. Eastwood and screenwriter Anthony Peckham—who also wrote Guy Ritchie’s Sherlock Holmes and the ‘edgy’ Brittany Murphy-starring thriller Don’t Say a Word—have created a world so black-and-white, so blandly uninteresting as to wipe out any potential third-act tension.